DSTRYRsg: Destroyer Submission Grappling and Brazilian Jiu Jitsu: 2010 PAN NO GI: RESULTS + HIGHLIGHT. 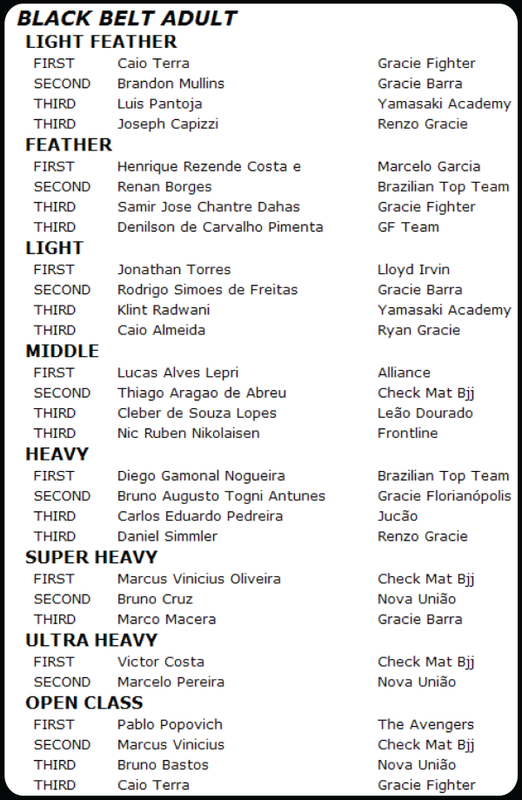 2010 PAN NO GI: RESULTS + HIGHLIGHT. Damn it, grappling. You frustrate us. Why do we have to sift though hundreds of YouTube videos featuring double rainbows and/or dudes playing the pan flute in order to find a few clips of the big match-ups from this past weekend's 2010 USBJJF Pan No-Gi Championship? Rickson and I agree this totally lacks all budo. And, the one decent (barely) video we found - Caio Terra versus Pablo Popovitch in Open Class (thanks to Graciemag for pointing it out). Low res and a bad angle, but we'll take what we can get! Check it out. Both great champions; Terra's just too small for the ultra-yoked Popovitch. Hey, where's the womens' results posted? THANKS!